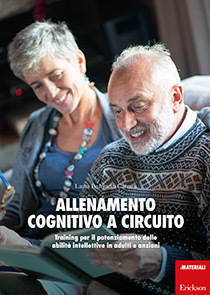 This book presents a program which, thanks to a structured, selective and continuous program, helps prevent the loss of, or limits alterations in specific intellectual abilities in adults and the elderly. This volume is a useful tool for the workers who take care of the elderly or for those who need cognitive rehabilitation. The clear graphics and simple instructions make the book easy to use, even by the person in need, who can carry out the program in complete autonomy thanks to the circuit methodology. By searching for and verifying the correct answers, another cognitive category is stimulated, that of learning.